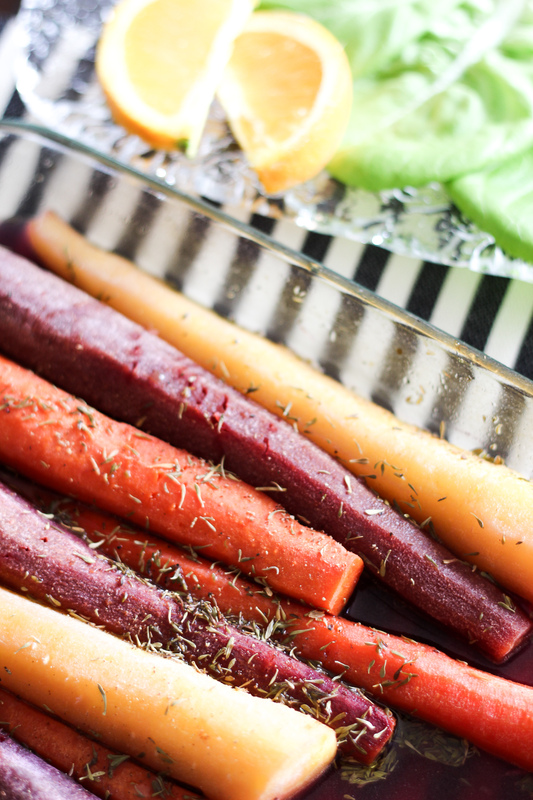 Getting in the Easter spirit and whipped up some roasted rainbow carrots that I had to share with you. 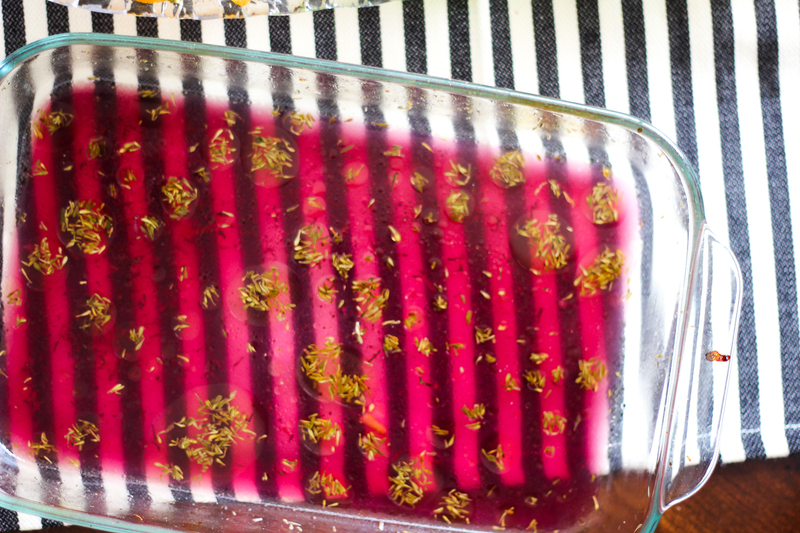 It’s a perfect and easy side dish for Easter! Also I’m putting my new black and white striped napkins to good use! I got this in Waco, Texas at Harp Design Co. (one of Joanna Gaines favorite shops!). You can read more about our trip to Waco in my last post 🙂 There are a few great places to check out. 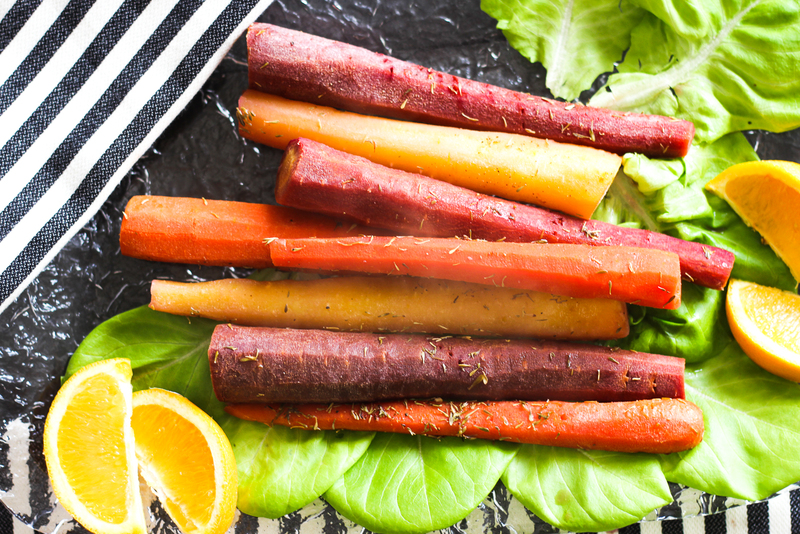 Taylor was even excited about these rainbow carrots – which says a lot when a toddler wants to eat carrots! She’s actually very good about eating fruits and vegetables but the rainbow colors and squeezing a little extra orange on top made it EXCITING. 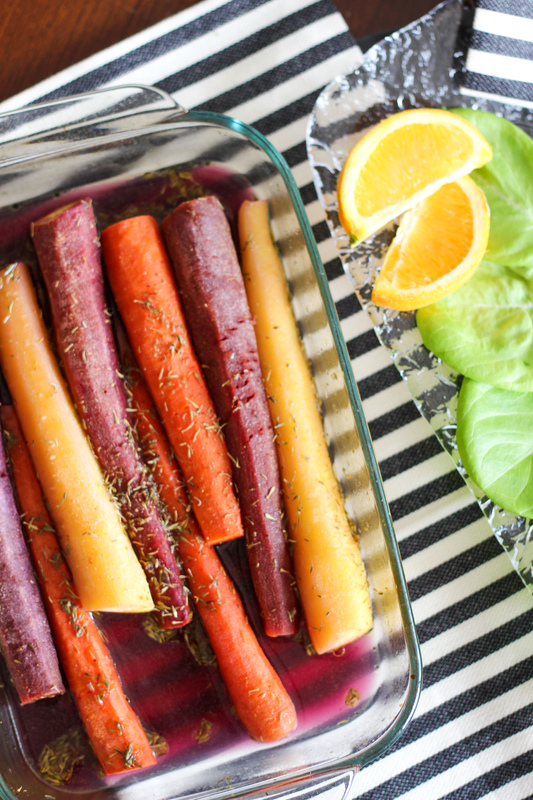 We have steamed and roasted carrots using limes and lemons too and those are equally delicious. The citrus adds great flavor. For this one, we used an orange because that’s what we had on hand. Peel the carrots. Preheat the oven to 350 degrees. 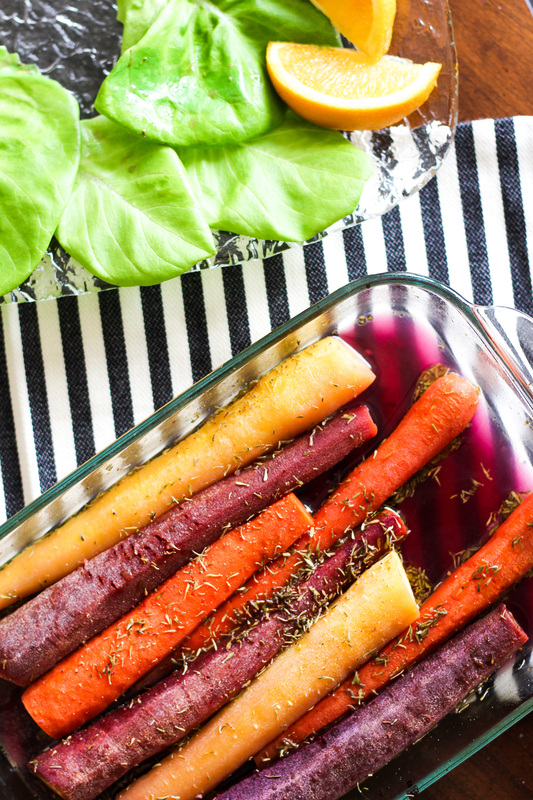 Put the carrots in a shallow baking dish and cover the carrots halfway with water and a splash of olive oil. Sprinkle on the thyme and a little pepper (optional). Squeeze an orange on top! Cook for about 20 minutes then rotate the carrots. Add a little extra thyme if you wish. Cook for an additional 20-40 minutes (depending on how hard or soft you like the carrots). We like ours softer and cooked them for 50 minutes total. We are on our way downtown for some more cooking tonight! We are taking a class at The Wooden Spoon with my brother and sister-in-law. They are moving to London in a few days and we are trying to spend as much time as possible with them before they leave. We are going to miss seeing them as often as we do but now we have an excuse to vacation in London! The menu tonight is New Orleans theme and I’ll share some updates on insta stories. These cooking classes have the BEST tips and I can’t wait to try some grillades.